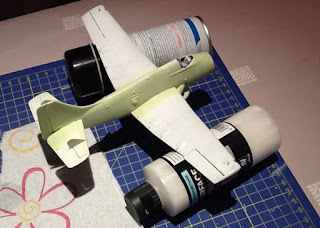 So I spent all evening masking up the Gannet. I then gave it a few coats of Extra Dark Sea Grey and what happened? - loads of seepage etc. I never seem to be able to get masking to work properly. Now I have to go around touching up all of the dodgy bits when I could have painted the thing by hand in half the time - and with a couple of hand coats of Model Air plus a few coats of Klear, no one would have known the difference. Here is where I am at the moment. Excuse the dodgy photo. I am still using my iPad as my flash gun still doesn't work - getting close is difficult on the iPad as you don't get any real feedback regarding focus. Apart from that the photos have been good. 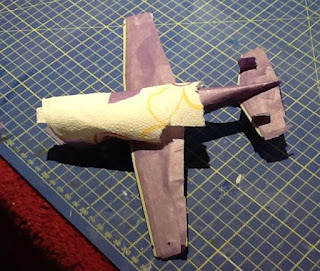 As you can see, there is a lack of accuracy around the wing roots and I seem to have scratched the tail planes when removing the masking. 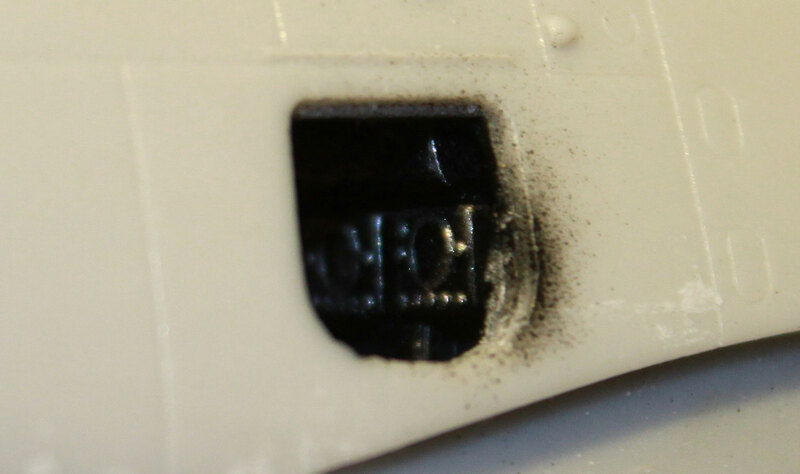 Here, if you look carefully, you can see the bleeding that happened under the masking on the under wing grey stripes. Here is the AEW3 with its first coat of Duck Egg Green - Sky. I did notice that I hadn't fitted any of the etched brass aerials and the rudder (gulp) so, having found out in time, I was able to add all of them. You should be able to see these from the photos. Next step is a coat of Klear and then I will mask it up for the upper paint - Extra Dark Sea Grey. Note that I am putting a coat of Klear on before masking. Maybe I won't drag off any of the Sky when I remove the tape! Don't forget to double click on the pictures. Get on with the AlleyCat Gannet. This is where I have got to. Apart from the fact that I have missed adding the exhaust outlets either side, which will take a couple of minutes, it is already for its coat of Duck Egg Green on the sides and underneath. Don't forget - you can double click on these to see bigger images. AlleyCat Gannet moves on - with the usual disasters! 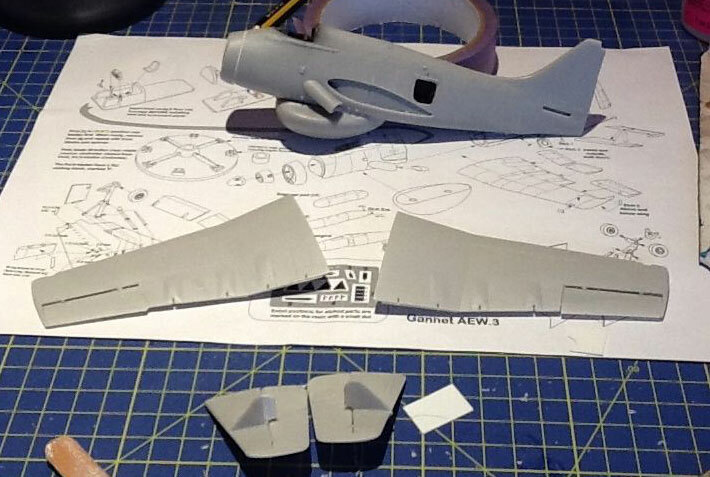 When I was detaching the tailplane fences, I managed to break one of them such that the rear parts broke away! These were cast in very fine thin resin so I should have taken more car, of course. So, I have had to make a couple of new ones out of plastic card. They are not quite the right shape but as close as I am going to get. I think that, when they are painted, they won't show as being much different. Here is an update as to where I am with the kit overall. I have to say that this is a very nice kit - as nice as the CMR kit. 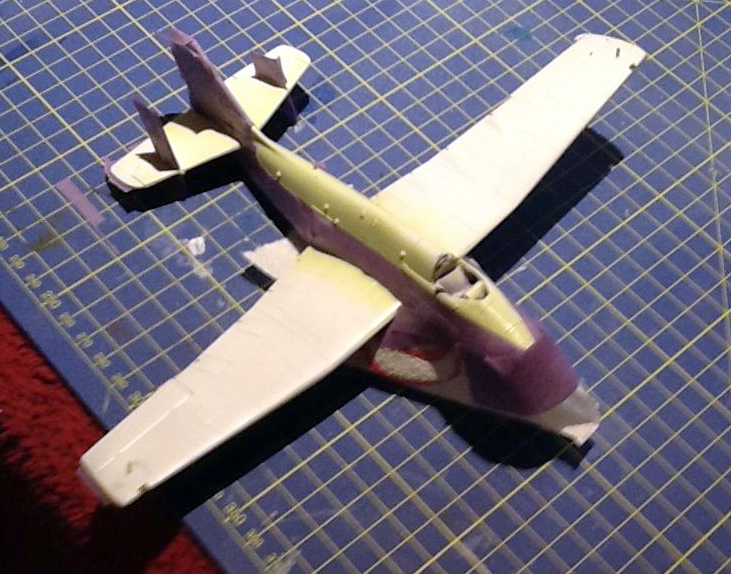 (The only problem I have with the CMR is the wing fold, which I should never have attempted!) Still I am finding these resin kits to be a lot of fun. Most little 1/72nd scale kits go together quite quickly and it is all in the finishing and painting. With a resin kit, there is much more 'modelling' and given my background of scratch building US railroad freight cars years ago, I am finding the process very enjoyable. Just out of interest, these photos were taken with my iPad because my Canon 500D has gone back to have its flash connection fixed. Not bad, I say. 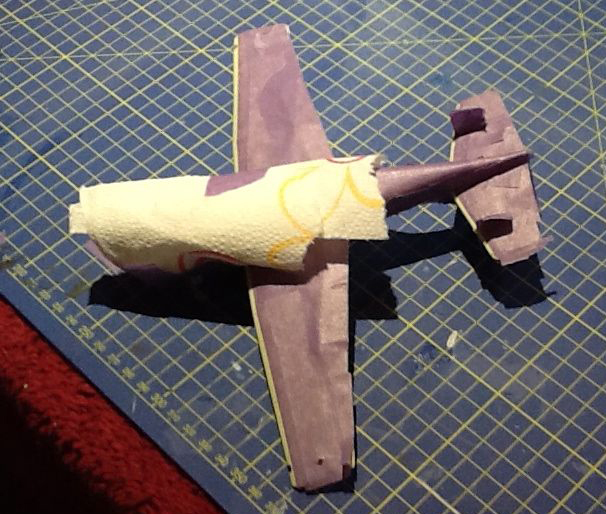 Since deciding on my Fleet Air Arm binge, I have become a little unsure of the project. As most of you know, I am not minded to be stuck in one area of modelling for too long. I would remind you that in the year 2010, I entered a model in every single one of the different categories at the local club - except Junior of course - grin. 3. 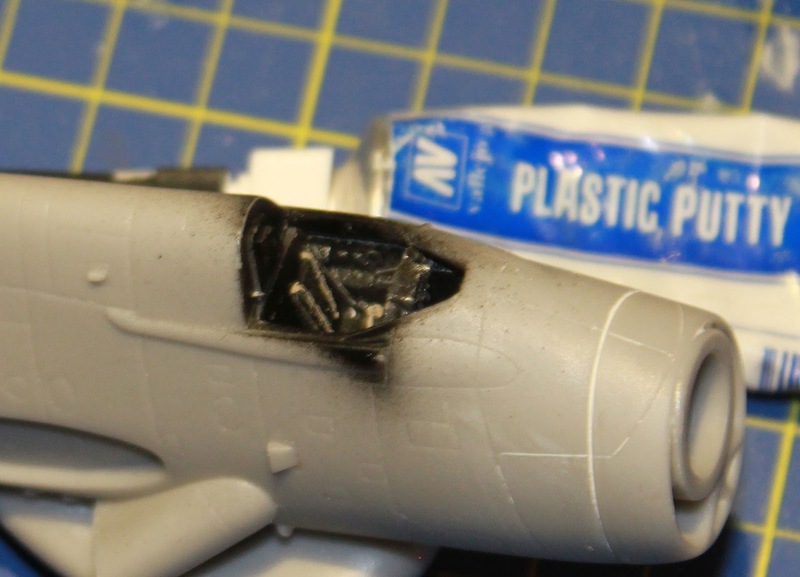 Constantly doing 1/72nd aircraft is a bit on the tedious side for me. 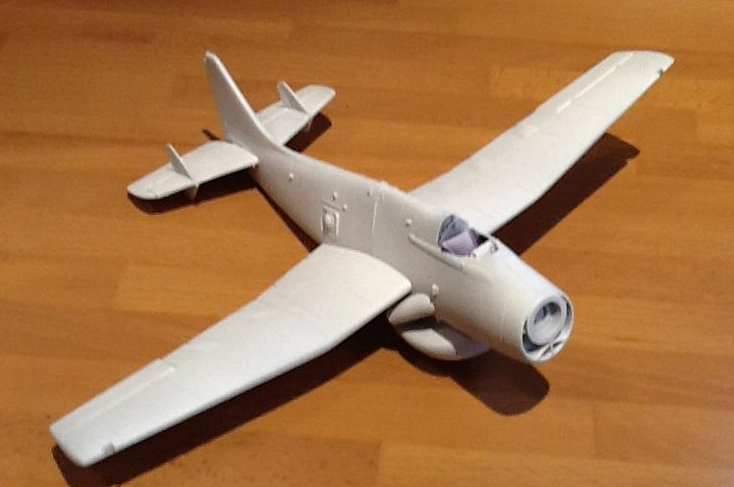 I realise that I have only actually completed one single model - the mid-50's Avenger. I enjoyed this kit because it was a mainstream Academy kit with a few detail changes. 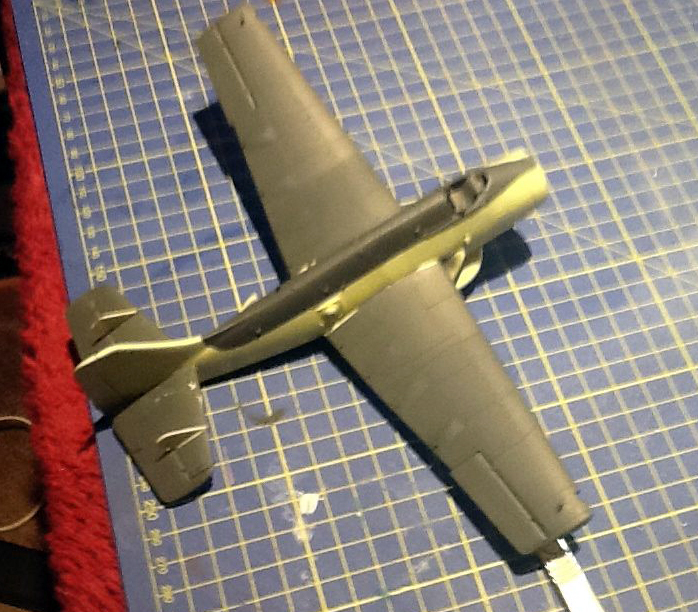 Since then I have a Seafire with a missing canopy and an Attacker with missing decals. 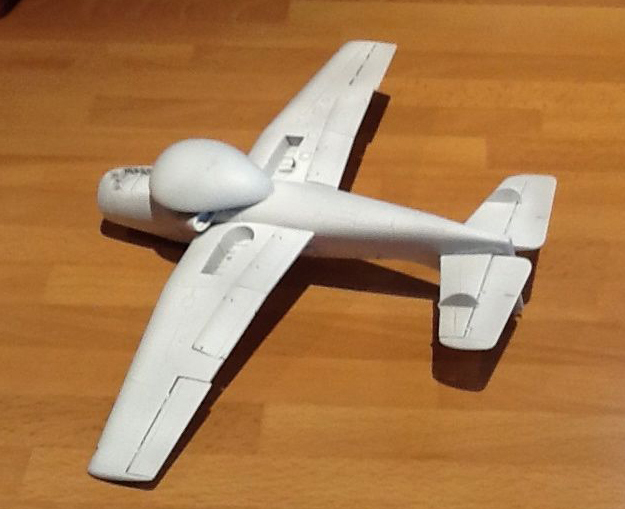 I also have a resin COD Gannet half finished which is unlikely to move forward any time now because of the wing-fold issue. Pick up another FAA aircraft and make it no matter what. 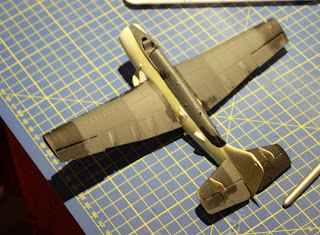 Finish off the two aircraft I have on the go at the moment - photos tomorrow -. 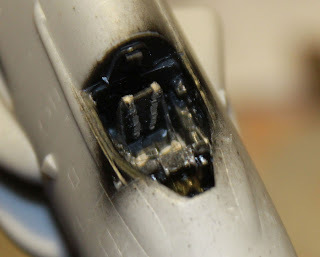 These are a PM Model Sea Fury which has serious problems with the wing roots or the Revell Vampire which I would like to do in natural metal but is so badly moulded due to flash that I think it is only worth putting in the bin. Having a go at a Great Wall Devastator or a Hobby Boss Demon both in 1/48? 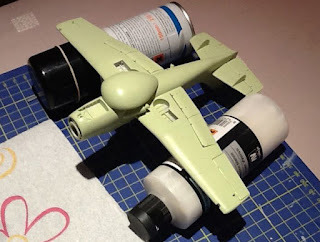 Forget all the preceding ideas and get one of the new Revell 1/48 Venturas and do it in that great three colour camo from the Pacific - memories of my favourite Marine PBJ Mitchell. Get the Revell 1950s Big Healey sports car, which is running out of stock and enjoy another car. 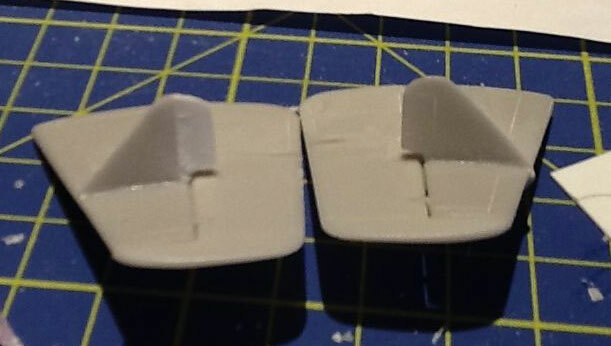 Maybe do a ship - haven't done one for years apart from the tiny Schnellboot. So now it is time for you to help me. I have created a small, single question survey with the above items as the choices. Do me a great favour and take 10 seconds to pick a selection. Click here to take survey - There is no advertising in the survey so please give it a go.